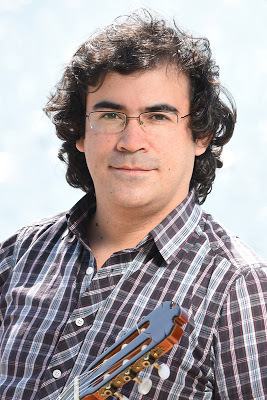 We are proud to present the next Guitars of the World Workshop with Camilo Pajuelo, organized by the International School of Music Finland in cooperation with the Global Music Centre. The guitar, a very popular instrument all over the world, is deeply rooted in the traditions of the Andean people. Over several generations, a particular style has developed in Peru, both in solo and ensemble playing. This style is known as the Andean guitar. This workshop introduces participants to Andean guitar in a twofold way. Practical examples will be shown for both solo guitar and guitar ensemble. The main technical and expressive resources related to this repertoire (sound production, vibrato, ornamentation, bordoneo, strumming, improvisation, etc.) will be discussed. The workshop is primarily aimed at intermediate and advanced level guitarists. For all enquiries please contact nanna@ismfinland.org and remember to sign up in advance!